ONE OF THE TOWERING GIANTS of American literature of the 20th century has passed on. Norman Mailer, 84, the author of such books as The Naked and the Dead (1948) and other novels, reportage, biographies and works of nonfiction, has died. The New York Times critic Orville Prescott called it “the most impressive novel about the Second World War that I have ever read.” Twice winner of the Pulitzer Prize for The Armies of the Night (1968) and The Executioner’s Song (1979), his magnum opus, the brash and often outspoken writer was a dominant presence in the American literary landscape for almost sixty years. In the 1960s and ’70s, Mailer developed a form of journalism that melded actual events, autobiography and political commentary with the creative richness of the novel (what we today refer to as the “nonfiction novel”) as a result of which his works have often aroused controversy, both for their stylish nonconformity and his brash views of American life. Mailer once declared that he wanted to “alter the nerves and marrow” of the world with his books and to “change the consciousness” of our times. He believed that a successsful novel is one that is capable of changing the nature of people’s thinking. In The Castle in the Forest (2007), his first major work in over a decade, Mailer offers what may be his consummate literary endeavour. He was working on a sequel at the time of his death. His latest and last book was published in October 2007: On God: An Uncommon Conversation (with Michael Lennon) (Random House, 2007), which takes the form of a conversation with fellow writer Lennon exploring the nature of Mailer’s typically idiosyncratic belief in God. 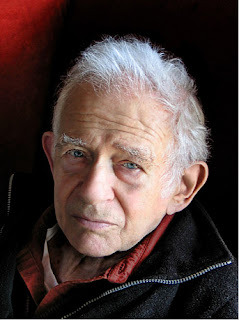 Norman Mailer will be sorely missed. I just bought a copy of The Castle in the Forest - his last book - from Kinokuniya after hearing about his passing.